Within hours, Republican Gov. 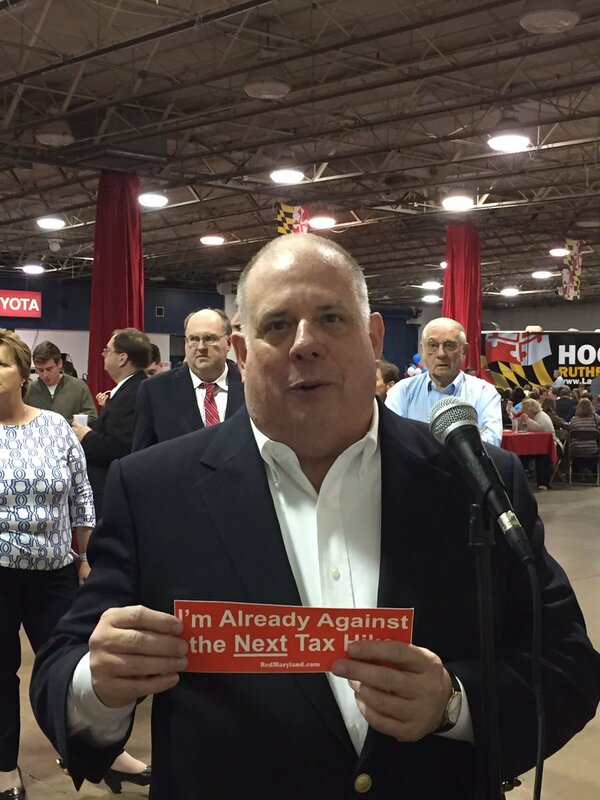 Larry Hogan said he’d push a competing tax proposal — which he has not detailed — to accomplish the same goal. The dueling proposals will attempt to insulate state taxpayers from an inadvertent tax increase prompted by changes to the federal tax law enacted late last year. State leaders across the country — especially in high-tax states like Maryland, California, New York and New Jersey — are grappling with how to adjust state tax laws to make sure individual residents don’t see their state bills increase by hundreds or thousands of dollars next year. More than 60 Maryland state lawmakers, all Democrats, announced part of their plan to mitigate that tax increase, saying that their proposal is just a starting point. Hogan said he is waiting until the Maryland comptroller completes a review of the impacts of the federal tax changes before he introduces his plan. But he said he was “thrilled” the Democrats were talking about the idea now. “I’m ready to throw a party,” Hogan said. It only took gubernatorial election loss, three years of an improving economy under Governor Hogan, and Governor Hogan having commanding leads in both resources and in the polls to come around the reality that tax cuts are beneficial to all Marylanders. The more money that Marylanders have in their pockets, the more they spend, which means more commerce, more opportunities, and more jobs for all Marylanders. The second piece of the Democrats’ plan uncouples Maryland’s estate tax from federal policy so that inheritances of $5 million or more are subject to Maryland taxes. Unless state law is changed, Maryland would be able only to tax estates worth $11.2 million or more, the same threshold set in federal law. Maryland stands to lose about $60 million a year in estate taxes if it adopts the federal threshold. The Democrats are trying to use this tax-cut package as a way to raise the estate tax. This won’t impact many Marylanders at all, but it’s a trap: the Democrats are trying to get Governor Hogan to sign this bill knowing that the bill would, in fact, raise taxes in some way. Trying to get Governor Hogan to sign some sort of tax increase is part of the Democratic strategy to attack Governor Hogan’s record this fall. But the poison pill provision should not stop people from recognizing that the Maryland Democratic Party has temporarily turned a new leaf. They have finally realized that taxes are a serious problem for Marylanders, both individuals and businesses, and have taken a proactive step to do something about it. Will it ultimately be similar to the 1998 tax cut, where Democrats lowered taxes to save Parris Glendening’s bacon, only to return to their tax-hiking, high spending ways? Probably. But it is refreshing to see, for once, Democrats follow Governor Hogan’s lead in a way that will try to help a large chunk of middle-class Marylanders. Don’t let the reality of the situation, that this is all political theater and not a Road to Damascus moment, get you down. Democrats are joining with Governor Hogan to propose tax cuts. What will we see next?